With the snowing falling once again… my thoughts turn to spring and one of my favorite plants I distinctly remember from my childhood; Lilacs And for many of us, nothing says “Spring” quite like the scent of lilacs. There are new hybrids and species of Lilacs that make me want to write this blog post because these aren’t your Grandparent’s Lilacs! There are new hybrids that offer not only the trademark sweet smelling blooms, but leaves that stay healthy and mildew free all summer. This article from Horticulture magazine describes some of the best species and cultivars of Lilacs for use in the garden, including compact selections and lilacs that resist mildew. Two of my favorites, ‘Madame Limione’ and ‘Miss Kim” are featured. Keep in mind these aren’t common lilacs (Syringa Vulgaris,) and they all have different looks, so keep that in mind when planning your Spring garden. However, that strong Lilac scent is unmistakeable, and ‘Miss Kim’ delivers a powerful scent that will make you swoon! 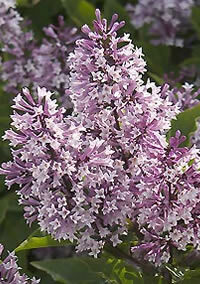 In the article there’s also a box on pruning lilacs, which should be done in late winter. The link to the article below speaks of the many new varieties that are mildew resistant and discusses proper pruning techniques. Lovely photographs of lilacs in full bloom are a bonus. 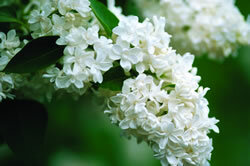 And don’t forget, Lilacs aren’t shade loving shrubs — they always bloom better with full or partial sun.